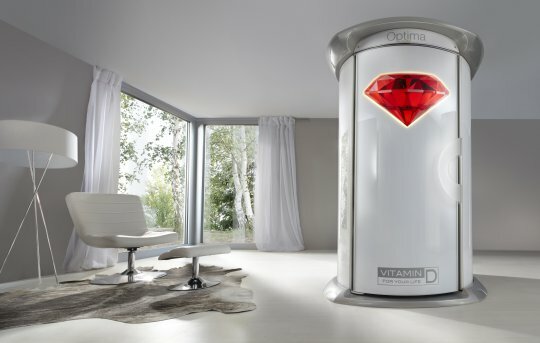 For the first time, Rubin Collagen Boosters are used in a stand up sunbed. 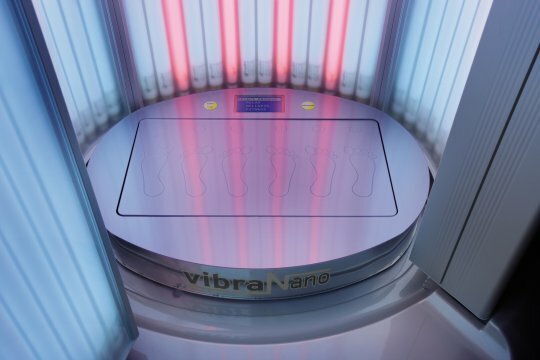 The 100 high performance LEDs in the upper body area alongside the known collagen effect ensure increased skin moistening, leading in turn to a better tan. Optionally, the megaSun Tower OPTIMA can be additionally combined with vibraNano, a vibration training with the programs Relax, Wellness and Fitness. As a result, the body is supplied with a maximum amount of oxygen and an even more intensive tanning is achieved. What’s more, your customers enjoy additional workouts for abs, legs, buttocks. Short but effective.